BC Univ. Goldis ICIM Arad (Liga Nationala) agreed terms with 22-year old American (has also Haitian passport) center Jenny Vernet (191-95). She just graduated from Young Harris (NCAA2). 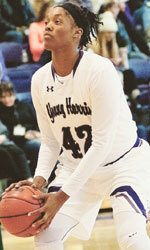 In 26 games she had 11.3ppg and 9.7rpg last season. As mentioned above Vernet is just out of the college and it will be her first season as a pro. She played at the A-Sun Tournament Semifinals in 2015. On Vernet: I am a great rebounder and Shot Blocker. My field goal percentage is great because I value the ball in my hands. I am a hustler because I do the 'extra work' like diving on the floor for a loose ball, doing extra repetitions, and giving a 100 percent every time in practice and in the game. Defensibly, I am vocal, aggressive, and smart defender. Plus, I always have my eyes on my man and the ball. Like any player I can always improve on every aspect of my game. 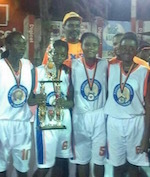 El Quattuor have won 3x3 Basket Feminin with 16 participating teams. In the Final game they overcame the Ballers 6-2 at the College Classique de Formation. Earlier they beat Fire Storm 6-2 in the quarterfinal game and then posted a 6-2 win against LMJ Force in the semifinals. Ballers meanwhile edged LMJA 5-4. Nathalie Lerebours, Alissa Marcha Orrella Pierre, Shwedensky and Sylvia Dieudonne are the winners of the El Quattuor squad.